This distinctive sparkling cider is made in Somerset, England by the artisan method of keeving. Fresh bittersweet cider apples are partially fermented to produce a naturally medium cider without sweetening or pasteurisation. 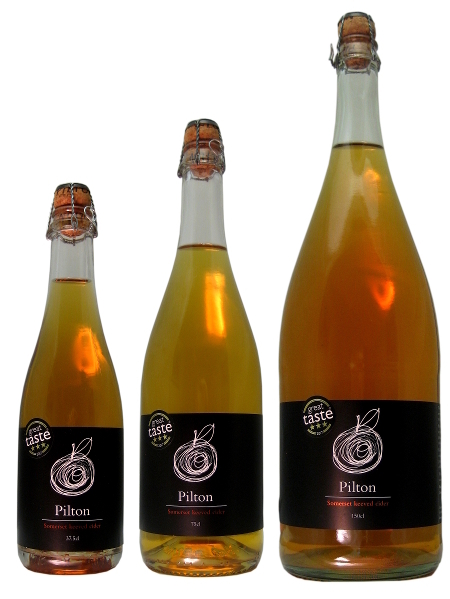 Wild yeasts, cold cellars and the low nutrient orchards of Pilton are all key elements in the process. Light and refreshing, it is best served chilled, as an aperitif or with food.